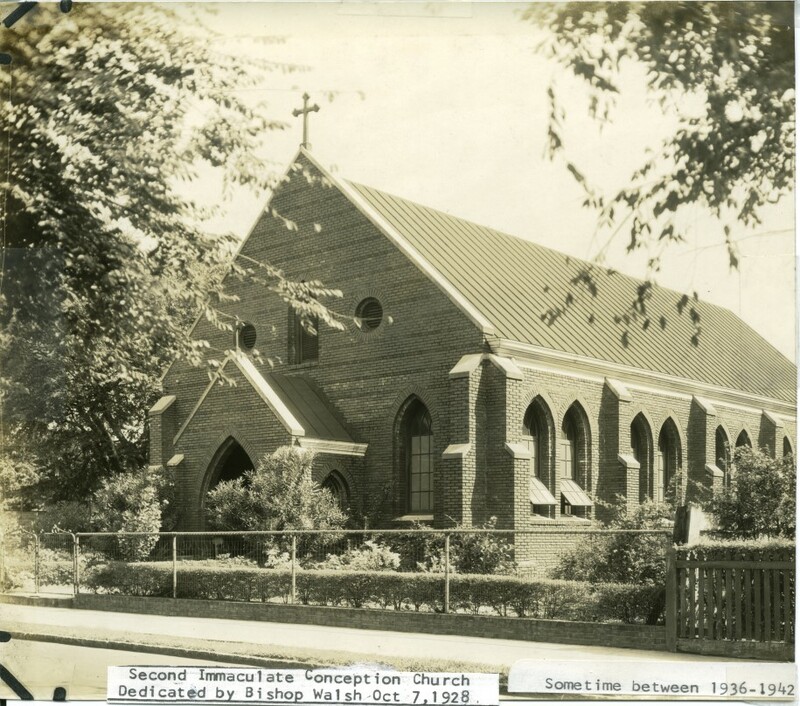 On April 11, 1880 Immaculate Conception Chapel, located on Shephard Street in Charleston, was dedicated by Bishop Lynch, becoming the second black parish in the city. The Chapel was built on one of six lots purchased by the Diocese in 1843. It was staffed by the Holy Ghost Fathers, a religious order dedicated to ministering to African Americans. On September 22, 1967 both Immaculate Conception and St. Peter’s churches were closed, the parish functions were transferred to St. Patrick. 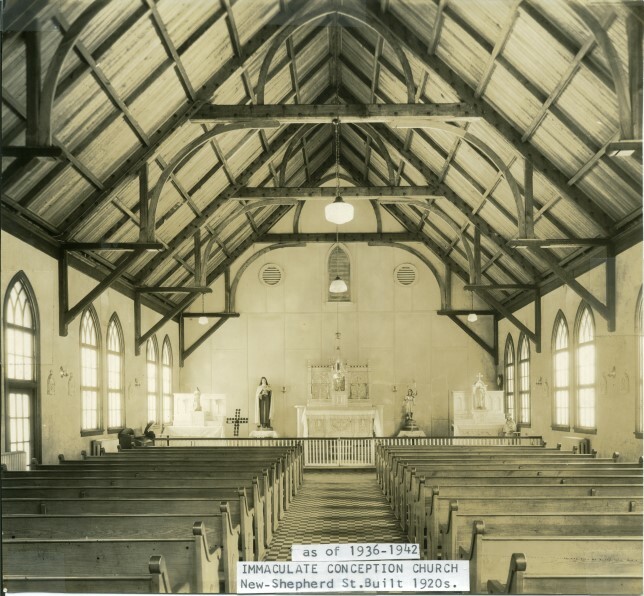 Records show that a fire on February 19, 1974 caused extensive damage to Immaculate and the building was demolished between late February and April 1974.